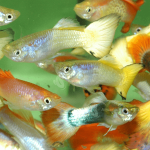 Before setting up a fish tank it is important to have some basic understanding of the requirements of keeping fish at home. The most important thing to remember is that fish rely on us to provide them with all of their requirements including correct water quality, food and shelter to name a few. Fish produce ammonia as a by-product of eating, which can be toxic to them if not removed (this is the main reason people new to fish keeping lose fish). Ammonia is removed via a natural process known as nitrification in which beneficial bacteria convert the ammonia to nitrite and then eventually nitrate. This process occurs primarily in the filter and can take 4-6 weeks to become fully established. 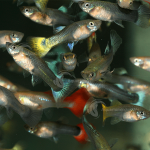 Starting the process occurs by adding fish slowly while the bacteria are able to build up and perform their role (refer “New Tank Syndrome” care sheet). There are a wide range of choices for setting up aquariums with a vast array of tank sizes and shapes coupled with different options in terms of filtration and lighting. 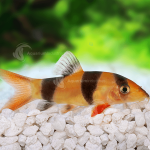 In addition, the options available in terms of fish type are extensive. Your Local Fish Shop (LFS) will be able to help you select a tank that is just right for your needs. 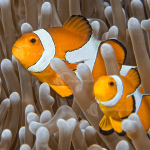 Aquarium Industries offer an expansive range of downloadable caresheets and a FREE online fish school to help you set up your first, second or even sixth fish tank. Use our Store Locator to find your local Aquarium Industries stockist. 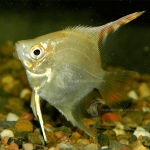 Fish in a new aquarium should be fed every other day until they are settled (normally within 7 to 14 days), but once your fish are settled, feeding at home should be done daily. Avoid over feeding by adding a small amount of feed until there is no more food in the tank before adding more food. This will ensure food is not wasted, but more importantly ensure that unnecessary water changes or tank maintenance is kept to a minimum. Feeding your fish should take about 5 minutes. Food waste can add to the amount of ammonia and nitrites in the water, which again impacts the filter’s ability to function correctly. It is important to choose the correct food for your fish, so be sure to check with your LFS on the correct food to be used. 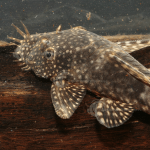 Food should be matched to the type of fish in your tank, for example fish that are bottom feeders should be provided a sinking diet while fish that feed on the surface are provided a floating fish food. Also, making sure your fish are well fed will help prevent aggression. As mentioned above, bacteria convert ammonia to nitrite and then eventually nitrate. Nitrate is generally not toxic to fish, but if left to build up can cause health issues in your fish. While there are a number of ways to remove nitrate from the tank, the most commonly used method is to perform small water changes to dilute the concentration of nitrate. While nitrate levels can be checked using test kits, performing a 10-20% water change every 2 weeks will most likely keep these levels in check. We recommend testing ammonia weekly to ensure the filtration is working effectively. 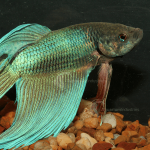 In terms of general fish care, there are tasks that need to be performed regularly to ensure your fish remain healthy. Daily tasks include feeding and checking that the equipment such as filters, heaters/chillers (if required) and air stones are all working properly, while other tasks such as vacuuming the gravel and removing any algae should be performed fortnightly. Additionally, regular water testing should be carried out including testing the tanks GH, pH and ammonia levels. Performing these simple tasks will keep your tank running smoothly and your fish happy. The stocking density of your tank at home depends on fish size and filtration equipment. Regular water tests will help prevent ammonia build up and the problems that can cause. 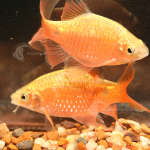 When selecting fish for your tank it’s important to ensure you match fish from the same basic water type. Please refer to Aquarium Industries compatibility charts to select the right varieties to mix together. 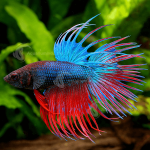 Other considerations include territorial behaviours and making sure any new fish which may be smaller in size are safe to be placed with larger established fish in your tank.